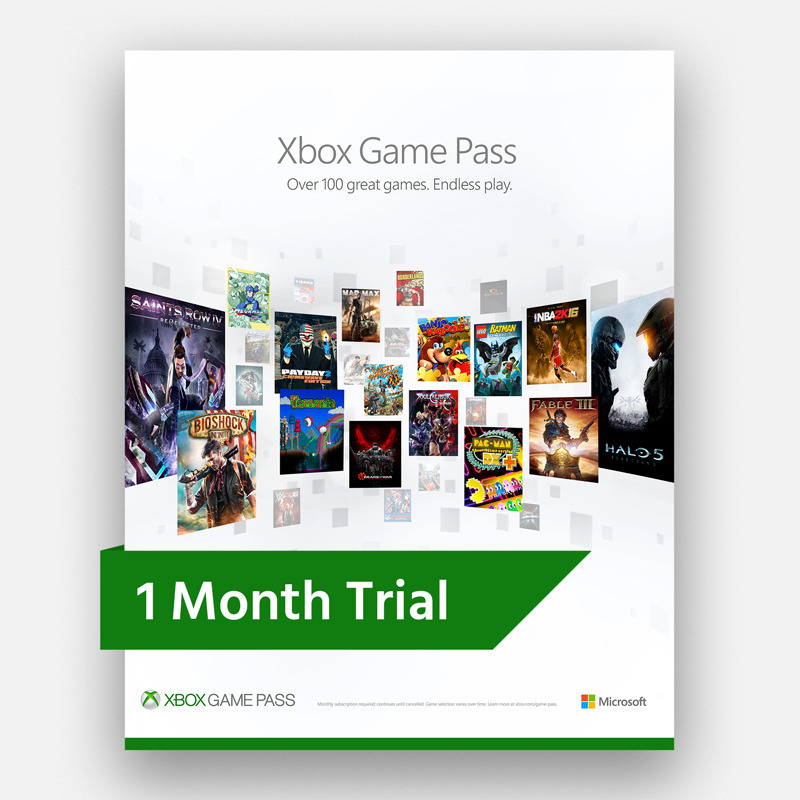 Only for accounts that have not previously had an Xbox Game Pass! Must be used within 24 hours after purchase. Xbox offers all new and more profitable ways to access the coolest games. For a small monthly fee, the Xbox Game Pass gives you unlimited access to over 100 great games, including popular backward-compatible Xbox 360 games and blockbusters for Xbox One. The Xbox Game Pass subscription catalog is updated with new games every month (sometimes games are withdrawn from the catalog), so that there will always be interesting new items in it! Download games of leading publishers and fully play them offline for up to 30 days! Subscription Xbox Game Pass allows you to play really endlessly. The Xbox Game Pass is currently available in the countries listed below. And this list will continue to grow! Argentina, Australia, Austria, Belgium, Brazil, Canada, Chile, Colombia, Czech Republic, Denmark, Finland, France, Germany, Greece, Hong Kong, Hungary, India, Ireland, Israel, Italy, Korea, Mexico, Netherlands, New Zealand, Norway, Poland, Portugal, Russia, Saudi Arabia, Singapore, Slovakia, South Africa, Spain, Sweden, Switzerland, Taiwan, Turkey, United Kingdom, United Arab Emirates, United States.